After getting our drink, we sat down in one of the corners and immediately played with the dogs. 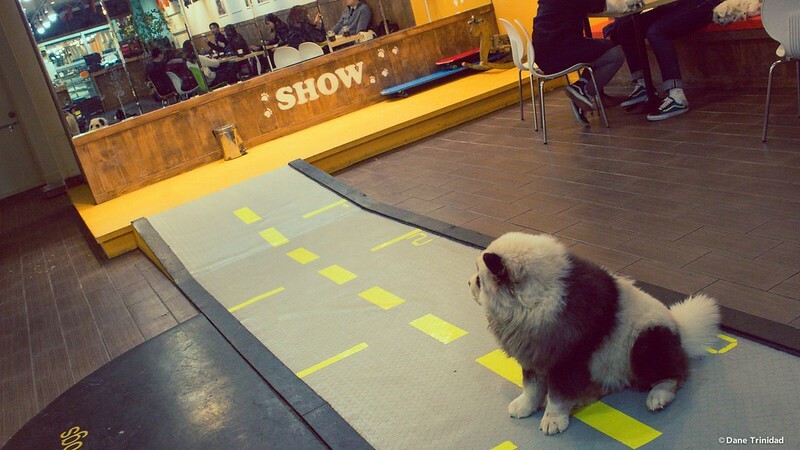 Wonder Dogs has a skateboard with a fancy floor decor that appears like a real road. Personally, I feel like the cafe is not super duper clean. Not all of the dogs are 100% trained, and we even experienced a dog peeing in the floor, but of course, the staff immediately cleaned it. 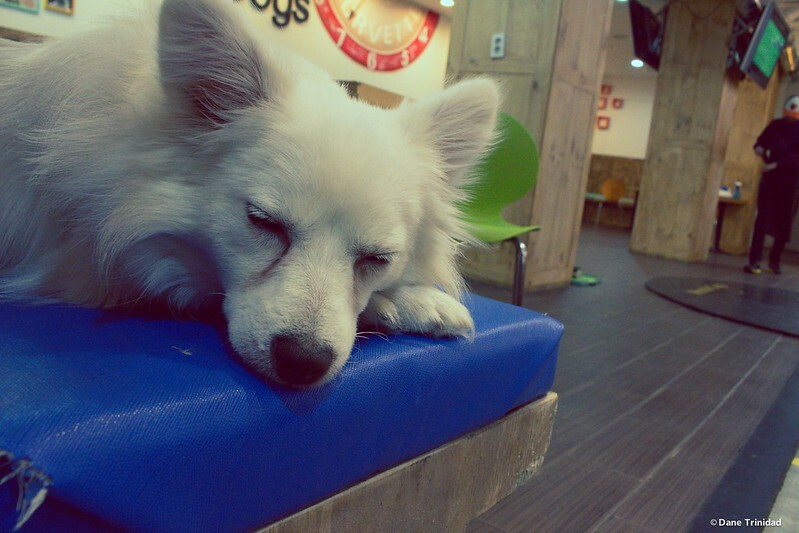 This is a common feedback in the dog cafes compared with cat cafes that are really well maintained. 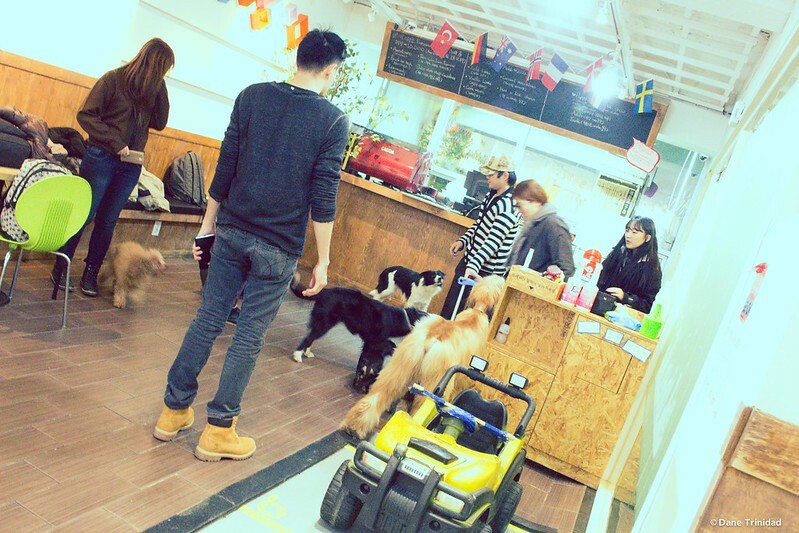 Nonetheless, we still enjoyed our stay since the dogs are so cute and the staff are friendly too! 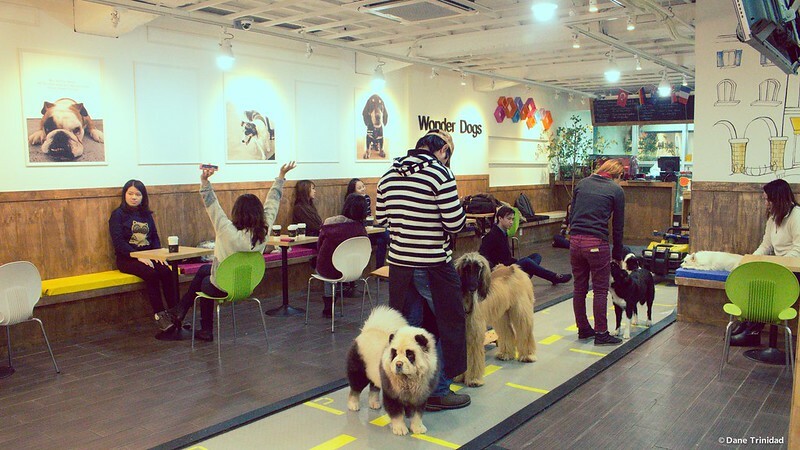 The owner and staff would ask the dogs to do some tricks and give them treats after. They all look so funny trying to be the best performer just to get the treats! If you have budget, you can also buy the treats for yourself and ask them to stand, turn around, and even ride the skateboard. 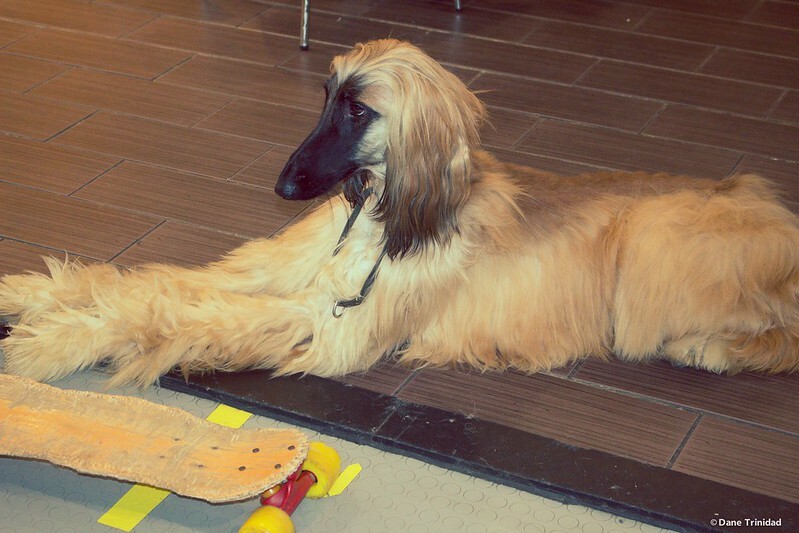 This dog super likes the skateboard. He pulls and bites it by his side most of the time. We mainly spent our time here taking good shots of the dogs. 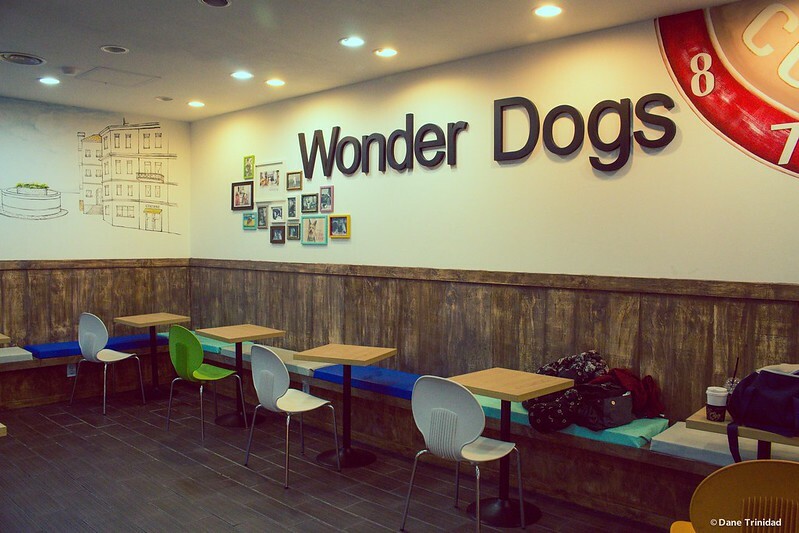 Fortunately, Wonder Dogs Cafe has several rare and fancy breeds that we usually don’t see in Philippines. My favorite is the Pandadog, simply because he is so cuddly and I really want to bring him home. 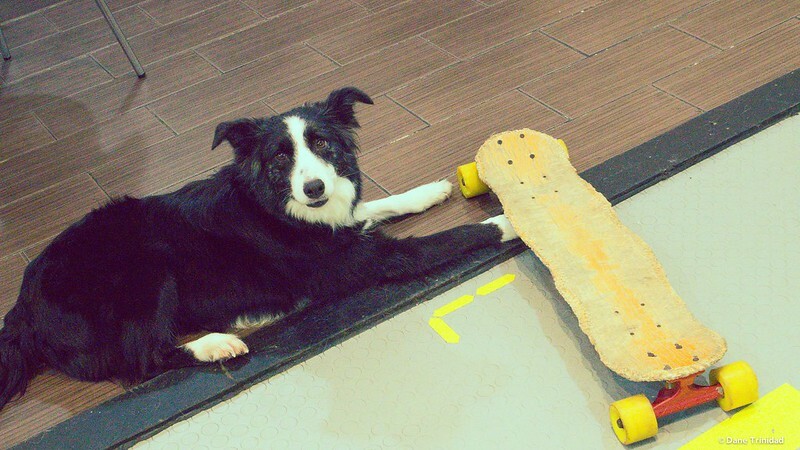 Here’s a video of cute Pandadog riding the skateboard! You can also check my other photos below for the cute dogs you can find in Wonder Dogs! 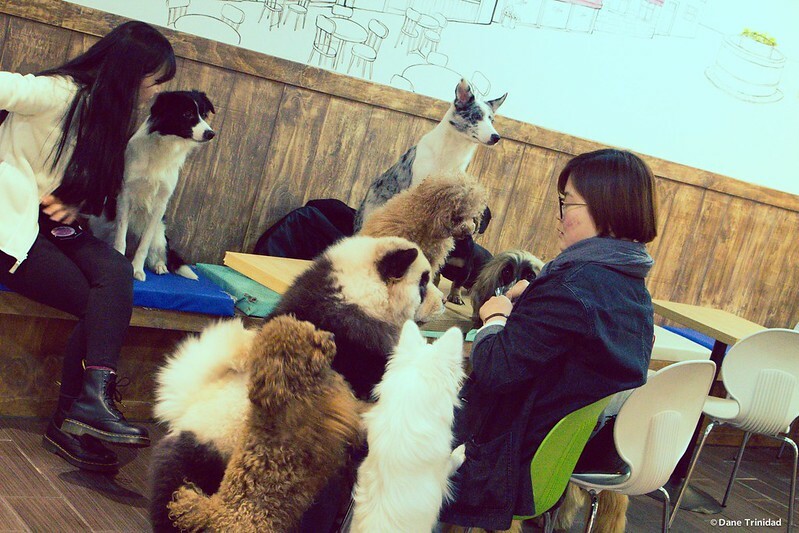 This girl bought a bag of treats and all of the dogs are so attentive to her because they all want a prize! definitely worth the pack! Hi! We will be having our Korean Trip on February. Ask ko lang kung saan mas magabda at mas convinient na hotel? Sa global hostel or sa seoul mansion? Thanks! Hi Nicole! Go to Global Hostel if you’re more into shopping. Seoul Mansion if you are after good restaurants and coffee shops. Both are directly accessible by airport bus and train respectively.